An office building along Colfax Avenue north of Cheesman Park has new owners. Excell Alta LLC paid $5 million for Alta Court Offices, a four-story building at 1490 Lafayette St., according to property records. It paid another $1.5 million for a half-acre parking lot across the street, southwest of the building. The LLC was formed by Virgil Shouse, owner of Excell Fund Brokerage and Development, which is based out of the building. Shouse said he controls a majority of the LLC. The 41,600-square-foot building dates to 1904, he said. It features Italian-style architecture and a courtyard, and sits on a 0.35-acre lot. 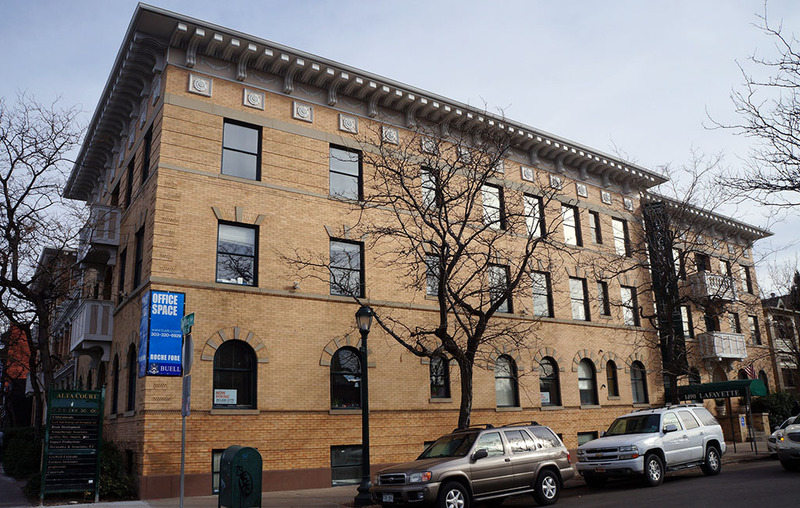 Tenants include Colfax Business Improvement District, Bison Development and law firm Hernandez & Associates, according to a building directory. Shouse said Excell Fund moved its office to Alta Court in September after renting for nearly two decades in Cherry Creek, because his landlord there wanted about $30 per square foot per year. Rent at Alta Court was about $22 per square foot, he said. Shouse said he “fell in love with the building” upon moving in, and moved quickly upon learning the owner wanted to sell. “I love its character, its charm,” he said. Shouse said the building is about 90 percent leased, and needs minor improvements, including updating common areas. He is interested in developing the parking lot, which is zoned for up to five stories. The property was sold by KPPF Alta LLC. The company was formed by Peter Friedauer, the former owner of Zuri Salon and Hair Institute in Cherry Creek, which closed in 2016. Roche Fore of Buell & Co. represented the seller in the transaction.